From one of America's most inspiring political leaders, a book about the core truths that unite us, and the long struggle to discern what those truths are and how best to act upon them, in her own life and across the life of our country. Senator Kamala Harris's commitment to speaking truth is informed by her upbringing. The daughter of immigrants, she was raised in an Oakland, California community that cared deeply about social justice; her parents--an esteemed economist from Jamaica and an admired cancer researcher from India--met as activists in the civil rights movement when they were graduate students at Berkeley. Growing up, Harris herself never hid her passion for justice, and when she became a prosecutor out of law school, a deputy district attorney, she quickly established herself as one of the most innovative change agents in American law enforcement. She progressed rapidly to become the elected District Attorney for San Francisco, and then the chief law enforcement officer of the state of California as a whole. Known for bringing a voice to the voiceless, she took on the big banks during the foreclosure crisis, winning a historic settlement for California's working families. Her hallmarks were applying a holistic, data-driven approach to many of California's thorniest issues, always eschewing stale "tough on crime" rhetoric as presenting a series of false choices. Neither "tough" nor "soft" but smart on crime became her mantra. Being smart means learning the truths that can make us better as a community, and supporting those truths with all our might. That has been the pole star that guided Harris to a transformational career as the top law enforcement official in California, and it is guiding her now as a transformational United States Senator, grappling with an array of complex issues that affect her state, our country, and the world, from health care and the new economy to immigration, national security, the opioid crisis, and accelerating inequality. 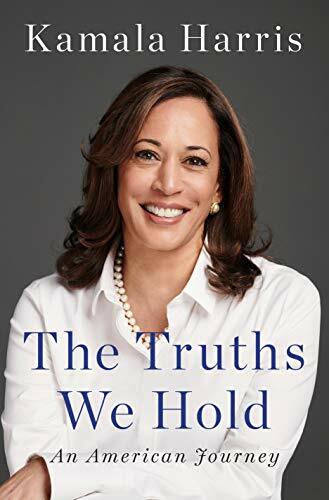 By reckoning with the big challenges we face together, drawing on the hard-won wisdom and insight from her own career and the work of those who have most inspired her, Kamala Harris offers in THE TRUTHS WE HOLD a master class in problem solving, in crisis management, and leadership in challenging times. Through the arc of her own life, on into the great work of our day, she communicates a vision of shared struggle, shared purpose, and shared values. In a book rich in many home truths, not least is that a relatively small number of people work very hard to convince a great many of us that we have less in common than we actually do, but it falls to us to look past them and get on with the good work of living our common truth. When we do, our shared effort will continue to sustain us and this great nation, now and in the years to come.